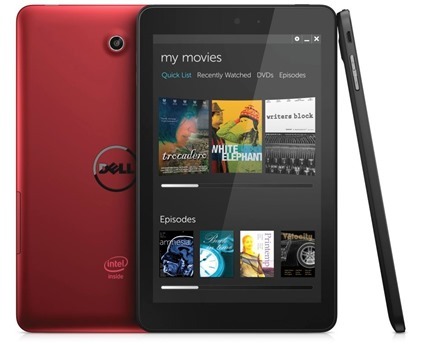 Dell has finally decided to launch its popular tablet series ‘Venue’ in Indian market. Dell Venue 7 would be priced Rs 10,999 while Venue 8 would be priced Rs 17,499 and both would be targeted for personal use and aimed for the consumer market. Powered by Android Jelly Bean operating system, Venue 7 and Venue 8 would be run by Intel Atom processors. Venue 7 has 7 inch display area, and offering us 16 GB memory; while Venue 8 has 8 inch display and coming in with 32 GB memory. Both the devices have HD IPS display mechanism and 3G for internet connectivity. 8 hours battery life is being claimed for this series. For enterprise users, Dell is offering Venue 8 Pro priced at Rs 26,990 and Venue 11 Pro priced between Rs 46,000 and Rs 47,000. Both of these enterprise tablets would be running on Windows 8.1 and powered by Intel Core i3 and i5 processors. Being a Windows OS based tablets; these tablets would support keyboard and stylus as well as Intel V-port technology for manageability. The devices are expected to be available from February, 2014. Dell is offering 24×7 support, accidental damage coverage and advance exchange warranty to all these new devices. Dell is really keen to capture the tablet market in India as it is witnessing a tremendous growth curve. In order to tap retail consumers, Dell has also announced that they will expand their retail presence and plan to add more than 200 outlets by end of February. Dell Venue, which was previously known as Dell Thunder is the only Android device series approved by the United States Department of Defense for usage by its employees. Initially, Venue series was created for smartphones. In the year 2012, Dell had announced that they will stop manufacturing Venue smartphone series. But last year, in October, Dell decided to revive the Venue brand and transform it into tablet-only device series. They offer both Android and Windows powered tablets, aimed at both consumer and enterprise sector. This recent decision of Dell to launch Venue series tablets in India will surely create more competition in the already crowded market dominated by Samsung, Lenovo, Sony, LG and Apple. But consumers, who are always spoilt for choice, won’t be complaining!